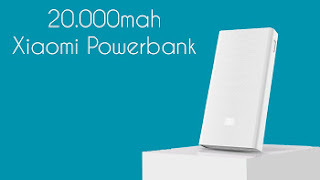 Xiaomi has launched yet another power bank with 20000mAh battery capacity with a two way fast charging. The Xiaomi Mi 20000mAh power bank support Qualcomm Quick Charge 3.0, which beat its predecessor with 2.0 Quick charge ability. The new power bank has the same ABS plastic body for a better grip, but in terms of thickness, it fairly thicker at 23.9mm, but measures 135.5×67.6mm having the edge in terms of compactness with its predecessor. While the former output was limited to 5.1V/3.6A over its two USB ports combined. The new model is still limited to the same output when using both the ports but when you connect just a single Quick Charge 3.0 device to one of its ports, it can output 5V/2.4A, 9V/2A, and 12V/1.5A. Meanwhile the Power Bank itself can charge at the same speeds. Xiaomi Mi 20000mAh power bank will be available in the stores coming December 19, 2016. By then, you can get the power bank in Nigeria, China, India and some other countries. The power bank will be sold for $21, which is equivalent to INR 1,424 in India, CNY 149 in China and NGN6,600 in Nigeria. Let's just see what happens when it's finally released..